Goodyear Eagle F1 Asymmetric 2 SUV has been developed for advanced high performance cross over and sport utility vehicles. Goodyear Eagle F1 Asymmetric 2 SUV has been developed for advanced high performance cross over and sport utility vehicles. 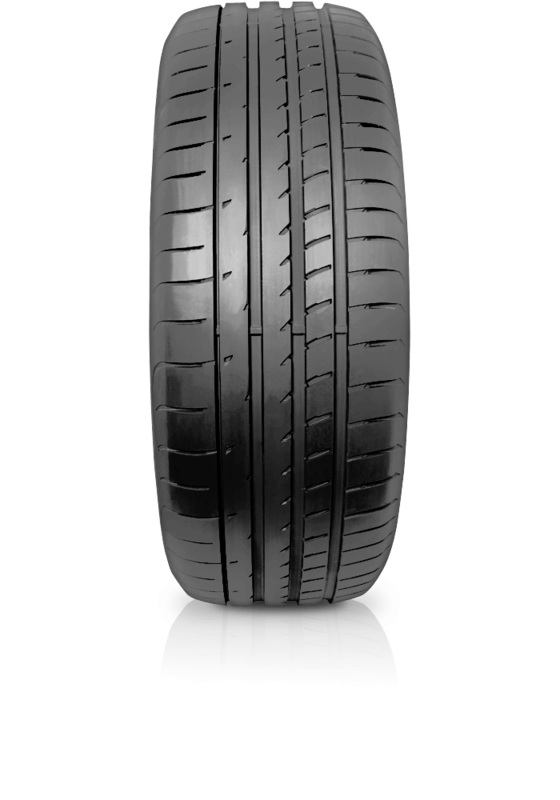 This tyre has been developed to enhance on-road performance in dry and wet conditions. The tread compound combines Goodyear race traction resins for dry grip, high surface silica for wet traction and high molecular weight polymers to optimize tread stiffness. This compound is molded into an asymmetric tread design with a wide, solid outboard shoulder to increase cornering traction and continuous notched inboard ribs to improve high-speed stability. Goodyear's ActiveBraking Technology 3-dimensional tread element designs increase surface contact with the road to reduce stopping distances during heavy braking, while its wide circumferential grooves disperse water from the tire footprint.